So, you need a website but don’t know where to start with your the content writing. This is a very common problem. Writing good content is time-consuming and tedious. Most people do not know what optimizing a web page is, let alone how to do it. Not only that, but it needs to be properly optimized for the best search results. We can help you with this. Over the years we have come to realize that the biggest hold-up in the web design process is getting the content from clients. They either get busy with the day to day business operations or just procrastinate because they just don’t know where to begin. In many cases, what we receive is less than 100 words per page. This is not good because Google is looking for authority websites and they don’t consider anything under 300 words to be very authoritative. It’s very difficult to write about yourself, but it’s the most important part of your website. 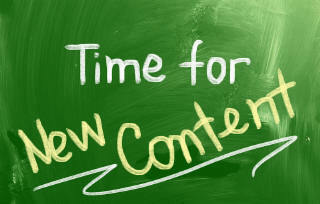 For this reason, we have started offering full content creation for your website. We have designed over 300 websites and know what kind of content gets the best results. It’s as easy as answering some questions over the phone. First, we decide on the best keyword phrase for each page of your website. Then we will ask you some questions about what each page should be about. Once we have a clear understanding of what your website visitors will want to see, we start writing! Each page will have at least 300 words. This is the magic number that Google likes to see. Once it is written, you will have the opportunity to make any changes to the text to make it better suit your business. We have built over 200 WordPress websites but have found that the majority of our clients don’t want to write Blog posts. If you found us on Google, you know that we come up very high for several premium keyword phrases including “Sacramento web design”. I’ll let in on a little tip on how we got there. We post Blog Articles at least twice a month. If we stopped doing this, we would most likely start to drop down in the search rankings. The reason for this is that Google is looking for “authority” websites. I’m not just a website designer with a static website. I have a lot of helpful posts on my blog that have positioned me as an authority in the website design field. My website is continuously being updated with fresh content. This is exactly what Google wants to see. am I “the” authority on website design in Sacramento? Probably not, but Google thinks so, and that gets me a lot of clients! I am almost always the first person people call when they need a website in Sacramento. I offer regular Blog posting to your website, completely SEO optimized Blog content writing for a related keyword phrase as an ongoing service. you can choose weekly, every two weeks, monthly or whatever you want. you won’t need to do a thing because Blog posts are not about your business, they are about topics related to your business. If you have a plumbing business, I would write about anything related to home improvement, repairs, saving water, and other useful articles for homeowners. Your target market is homeowners. If your target market is commercial plumbing, I would gear the content more towards commercial buildings. There is another benefit to regular Blog content writing. When you have a lot of useful information on your website, your site visitors are likely to stay longer. This is important because websites are also ranked by the amount of traffic they get and the length of time people stay on the website. I have several articles in my blog that seem to get a lot of hits every day from all over the world. The key is in writing about things that people will be searching for and optimizing that page so it will come up high in Google. I have a few other secret weapons I use to get these pages ranked higher, but I’m not willing to disclose them here! Give me a call if you are interested in having an authority website, which brings more traffic that stays longer and gets you up higher in Google. The days of the static “build it and they will come” websites are over!